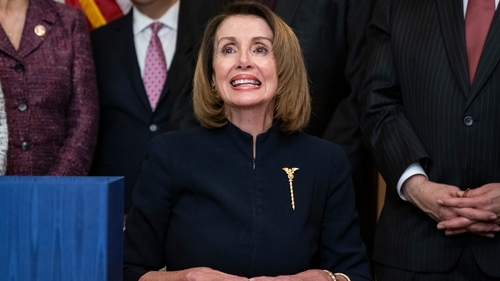 Details have been announced of next week’s visit to Ireland by US Speaker of the House Nancy Pelosi. According to a statement issued by the Speaker’s office, Nancy Pelosi will lead a Congressional delegation to visit Dublin, Northern Ireland, London and Stuttgart. It had previously been announced that Speaker Pelosi would address the Dáil on Wednesday to mark its 100th anniversary. President Michael D Higgins will host a working meeting for the US delegation on the same day. Speaking ahead of the trip, Nancy Pelosi said: "We will meet with senior government officials and local leaders to learn more about the future of the UK and Ireland amid Brexit and to express America’s enduring commitment to a peaceful and prosperous future for all who live there. The members of the Congressional delegation include the Chairman of the House Ways and Means Committee Richard Neal and Congressman Brendan Boyle.